Here are Lenovo Legion Y530-15ICH drivers for Windows 10 64 Bit you can download and install to get your gaming laptop operate correctly. 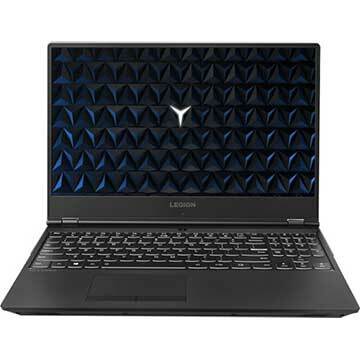 Lenovo Legion Y530-15ICH is 15.6-inch gaming notebook powered by 8th Generation 2.20 GHz Intel Core i7-8750H six-core processor and dedicated NVIDIA GeForce GTX 1050 Ti graphics video card. This computer comes with 8GB DDR4 2666 MHz system memory and 1 TB hard drive to store documents. This Lenovo portable PC features 802.11 ac Wi-Fi, Bluetooth 4.1, USB 3.1 Type-A port, Novo Hole, USB 3.1 Type-C port, Mini DisplayPort 1.4, HDMI 2.0 port, white backlit keyboard, Harman Speakers with Dolby Audio technology, and 3-cell 52.5 WHr Lithium-ion battery with up to 5 hours battery life. Dimensions (W x D x H) : (mm) : 360 x 267 x 23.9–24.9; (inches) : 14.17" x 10.51" x 0.94"-0.98"